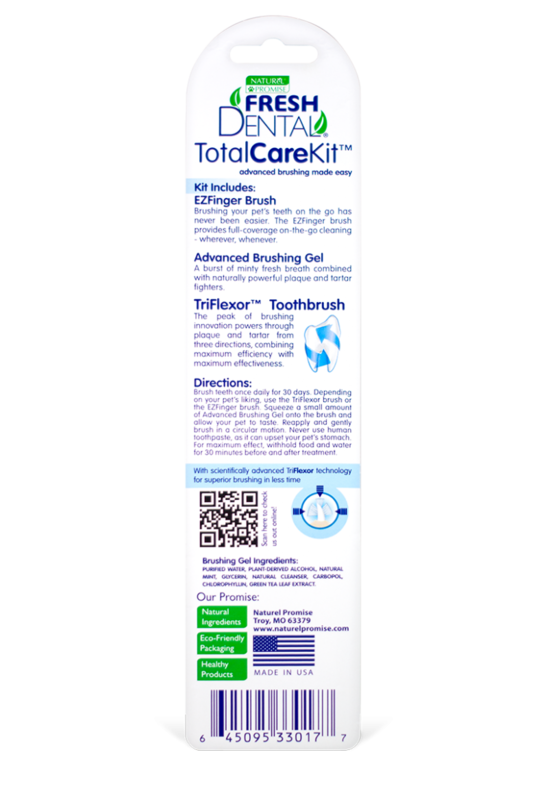 Fresh Dental Total Care Kit includes the perfect dental tools for a hands-on approach. 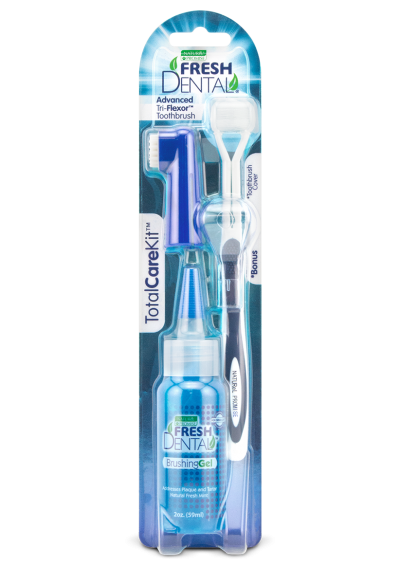 The advanced brushing kit includes an EZFinger Brush, TriFlexor™ Toothbrush and the Advanced Brushing Gel. 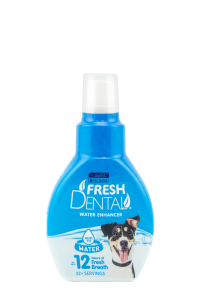 The Advanced Brushing Gel contains a special blend of natural, holistic ingredients that kill the germs that cause bad dog breath, plaque and gingivitis. 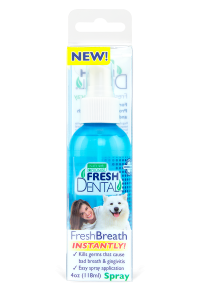 Fresh Dental Clean Teeth Brushing Gel helps remove plaque and tartar with either Fresh Dental toothbrush. Advanced brushing made easy. 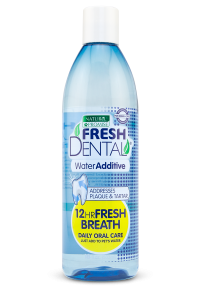 Purified Water, Plant Derived Alcohol, Natural Mint, Glycerin, Natural Cleanser, Carbopol, Chlorophyllin, Green Tea Leaf Extract.